This is the month of December, the holy month of Christmas, when thousands gather at Prashanthi Nilayam to pay their homage to their "Father". Here is an interesting article celebrating this sacred month. 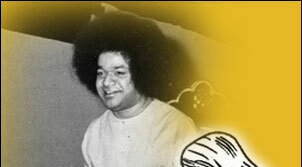 I had studied the life and teachings of Sathya Sai Baba for two years before going to India, and I had come to the certain conviction that once again the Word had been made flesh, that the Divine Principle had incarnated to save the world from destruction. Everything Swami said and did struck a note in the core of my being. He crystallised virtually everything I had come to believe in 65 years of search. I had come home. What also impacted me increasingly was the extraordinary similarity in the life, teachings, miracles, and personality of Sai Baba and Jesus of Nazareth. They even seemed to express themselves in the same phraseology. 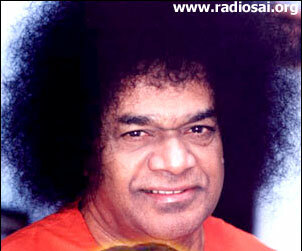 Of course it is true that all world teachers basically assert the same truths, but there is an extraordinary identity between Sai Baba and Jesus which is quite unique. 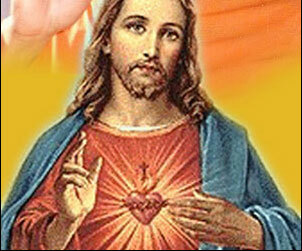 The teachings of Jesus spread across half the globe. Sai Baba, in a little over 40 years, is said to have 50 million devotees and there are Centres in 64 countries of the world. (This article was written in 1984. 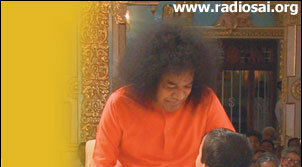 Now there are Sai Centres in about 180 countries and correspondingly a much larger number of followers - H2H Team). Puttaparthi is rapidly becoming the Vatican of the East. At the Birthday celebration in 1980 there were 350,000 people accommodated on a campus of 100 acres. 'Once Swami was a village urchin, uncared for, untutored, unloved. Now on his 50th birthday we assemble from the four quarters of the globe and what do we find? Philosophers and politicians, educators and legislators, scientists and technologists, the learned as well as the ignorant, the rich as well as the poor, and from all nations and from all religions, if this is not a marvel and a living miracle I would like to know what is! Both proclaim the brotherhood of man and the universality of the message. 'Go ye therefore, and teach all nations,' said the Christ. The teaching of both is exoteric and esoteric. Christ taught the masses in simple parables, yet astounded the scholars and theologians with the scope and insight of his knowledge. Baba also teaches the masses in parables, yet was explaining the most abstruse passages in the Vedas to India's pundits at the age of ten. Both come over as men of the people, intensely human and lovable, albeit divine, rather than as cloistered holy men. One might say 'divinely human and humanly divine'. One feels this about Jesus, at one and the same time a friend and a god-man. So too with Baba — at one moment borrowing a razor from Dr Gokak when travelling, and then suddenly performing some stupendous miracle (like 'cancelling' the cancer of a devotee). We are told that Jesus commanded an audience of thousands, and was acclaimed by virtually the entire city on his entry into Jerusalem. Baba commands an audience of tens of thousands on a whirlwind visit to a big city. Both started their mission when children. 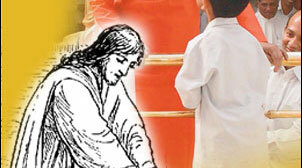 Christ taught in the temple at the age of 12. 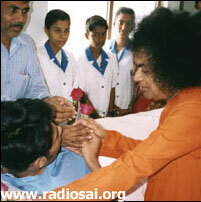 Baba was performing miracles at 6 and started his mission at the age of 13. Christ upheld the role of women and tried to raise their status above the level of mere chattels. He was often surrounded by women. Swami, too, reveres women, and elevates them in their vital role of motherhood as being the custodians of future generations. 'The mother is the child's first guru,' He says. Three of His first six colleges are for women only (and every year November 19th is celebrated as Ladies Day in Prashanthi Nilayam and all Sai Centres). Of course the cornerstone of the teaching of these two god-men can be summed up in the one word - love. No newcomer to the Gospels, unconditioned by theology, could possibly read them without gaining the over-whelming impression that the paramount message contained therein is one of love. "Thou shalt love the Lord thy God . . .' and 'Thou shall love thy neighbour as thyself. On these two commandments hang all the law and the prophets.' 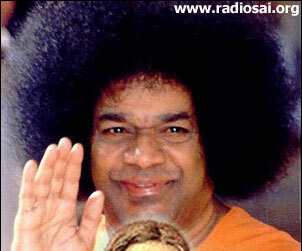 Sai Baba, too, is the embodiment of love. It is the essence of all His teaching, the golden thread which runs through everything He says and does, the criterion by which He judges everything. There is the same similarity in the detailed teaching. 'Avoid killing, theft, adultery, greed, sensuality, anger, impatience, hatred, egotism, pride.' Are not these exhortations an appeal to the Christian values? In the ten volumes of Baba's Discourses can be found every precept of the Sermon on the Mount. I give here a few of the sayings of both. As with the teachings, so with the personalities and miracles. It is clear that Christ had a radiant transparency, a divine charisma, with no trace of affectation, pride or ego; that he was motivated solely by love which radiated from him. The impact of meeting him must have been soul-shattering. How else could a man walk up to a small group of illiterate fishermen, talk to them for an hour, and then say, 'Follow me,' and have them do just that, abandoning all? 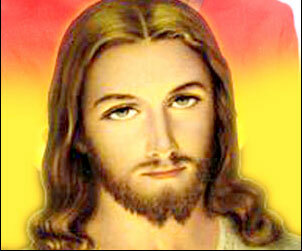 The Christ had X-ray eyes, instantly knowing thought and character. Baba has said, 'I see into the mind and heart. I see who has an urgent problem and needs the help of an interview.' He sees the past, present and future of everyone he meets. His omniscience regarding the past and present is constantly proved. One gets the impression that Christ preferred simple people with a good heart. He mainly chose simple men as his disciples. Both have clearly shown their love of children. Jesus rebuked the disciples who wanted to keep the children away. 'Suffer little children to come unto me' . Baba shares this love. When a large group of children from the Wellingborough Centre (UK) went to the ashram they were too excited to sleep on the first night. Baba came to their quarters and asked them if they would go to sleep if He, too, went to sleep? Whereupon He lay down on the floor and pretended to sleep. Soon the only sound was blissful breathing — and Baba crept out on tiptoe. Both also show a combination of deep humility and commanding authority. 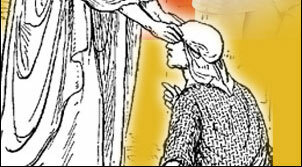 Jesus is often referred to as 'one who spoke with authority' - one envisages a tall, commanding figure. Yet he knelt down and washed the feet of his disciples. Swami might often play and joke, but should anyone take undue advantage of it, in the twinkling of an eye He resumes His authority. Once, when a devotee enquired if he might ask a favour, Baba replied, 'Of course. I am yours. I have no rights.' At one time a servant of mankind, at another the Lord. Baba has said, 'Sinners have more need of me than you have.' Christ was accused of healing by the powers of Satan (Beelzebub). Baba has been called a black magician. There is also a remarkable similarity in the miracles. 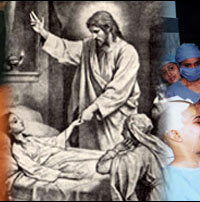 Christ healed the sick. Baba heals the sick daily. Christ raised Lazarus from the dead when his body is said to have been in a state of decomposition. Baba has raised the dead on at least two occasions. The body of Mr V. Radhakrishna was also in a state of decomposition. 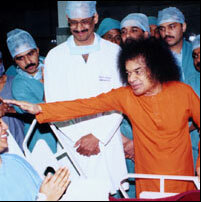 (In fact, there are many occasions, when Swami has given the Gift of Life to chosen devotees, please go here to read our cover story on Resurrections - H2H Team). 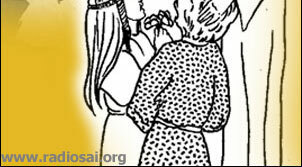 Both multiplied food — Christ at the feeding of the five thousand, and Baba on many occasions when the food has run out. Christ changed water into wine. Baba has changed water into petrol and fuel oil. Christ could control the elements and calm the seas; likewise Baba has made a rainbow appear, and made floods recede. Christ could levitate and walk on the waters. Baba was levitating as a child to the top of the rocky hill at Puttaparthi. Christmas is a major festival at the ashram and celebrated with much more fervour than in the West where it has become so grossly commercialised. Baba often gives talks to small groups of Christians and points out the excisions and interpolations in the Gospels. To those who feel a sense of disloyalty to Jesus He has on more than one occasion manifested a figure of Jesus above His head, thus identifying the two. There are also accounts of people praying before a statue of Christ and seeing it transform into an image of Sai Baba. 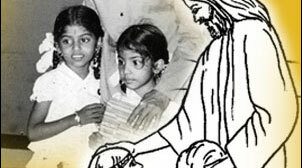 Finally, on Christmas Day 1972 Swami was talking to a group of Christians. He referred to a statement of Jesus which He said had been excised from the Bible. One day Jesus said to his disciples, 'He who sent me will come again. His name will be Truth. He will wear a red robe. He will be short, and have a crown (of hair).' Of course this description exactly fits Sathya Sai. When I read about this it completely fascinated me, for I had already come to believe that Sai Baba was the great Celestial Being who had overshadowed Jesus - the One whom Jesus referred to, and prayed to, as 'the Father'. It is impossible to convey in words the tone, the quiet assurance in which He affirmed these two questions. Gently, lovingly, with total conviction, with a sort of ineffable simplicity, and perhaps most of all, with a total lack of self-consciousness impossible in a human being. He looked straight into my eyes, which were no more than twelve inches from His, and just said, 'Yes'. I only know that it was impossible not to believe Him. - From Sathya Sai Baba Magazine - Spring 1984.